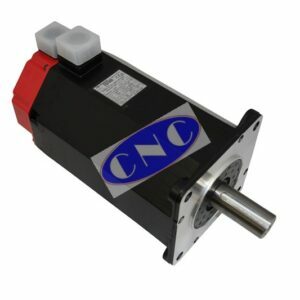 CNC West offers an extensive range of FANUC AC Servo Motor. Between ourselves and the rest of our group we have thousands of AC servo motors in stock including ALPHA motors A06B-01xx, AC A06B-05xx, A06B-03xx, and ALPHA i A06B-02xx and BETA and BETA i A06B-02xx. Offering extensive motor testing facilities to prove faults, as well motor refurbishing and AC drive repair if the motor is not faulty. All FANUC AC servo motors supplied by ourselves either exchange, outright surplus or as a repair come with a 12 month warranty.